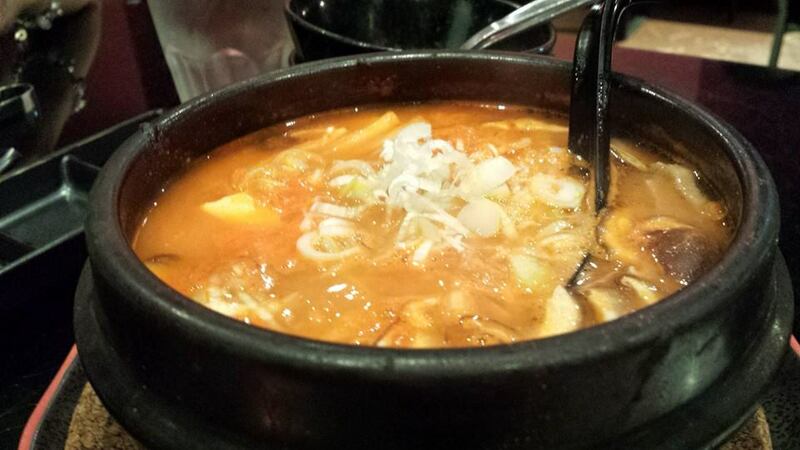 we ordered our usuals – kimchi chigae & bibimen. i love both these dishes. 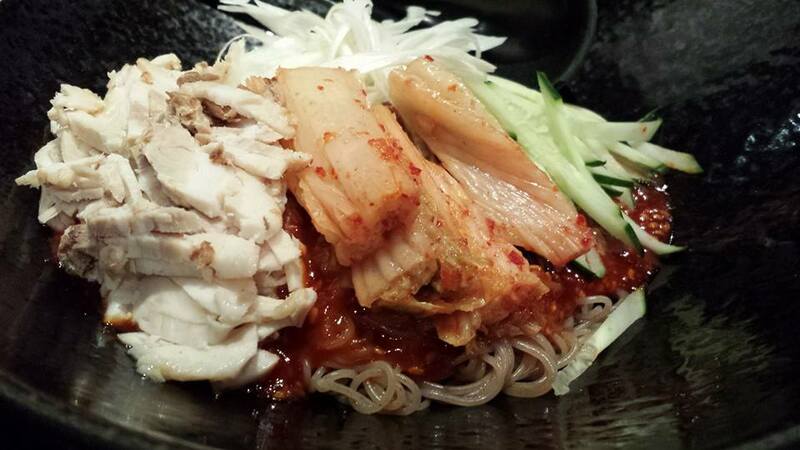 kimchi chigae always so tasty, with some slices of thin belly pork. 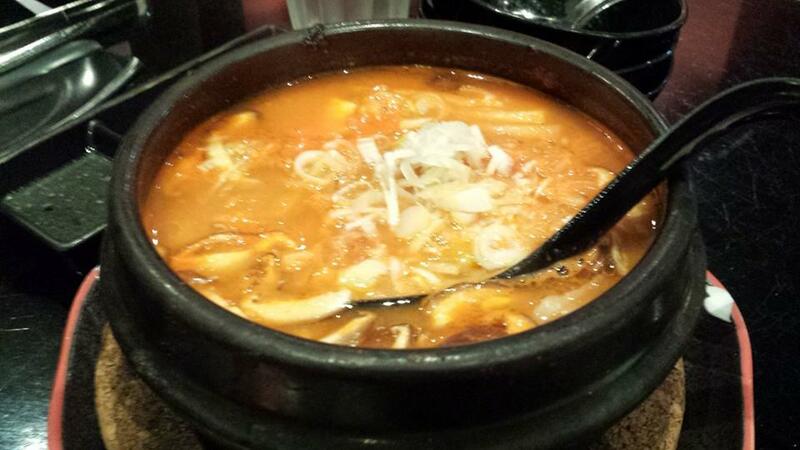 i love the kurobuta kimchi nabe at shirokiya @ cuppage terrace but for a simple small helping of kimchi chigae, aburiya’s is the best. 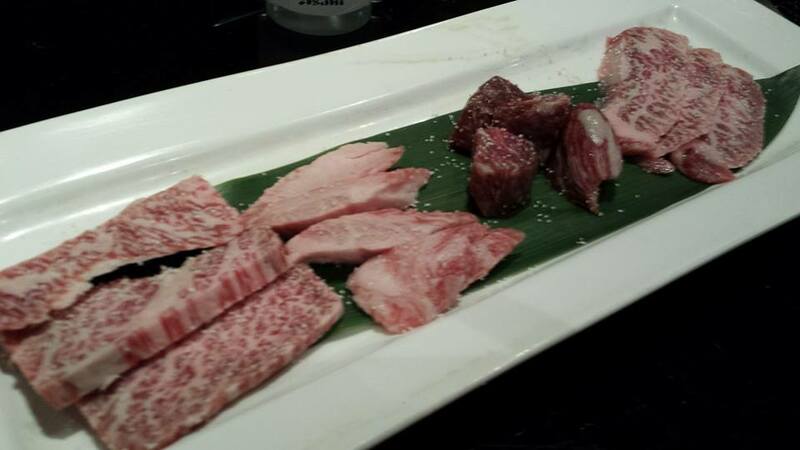 we decided to order the ohmi wagyu beef set (above & top photo). 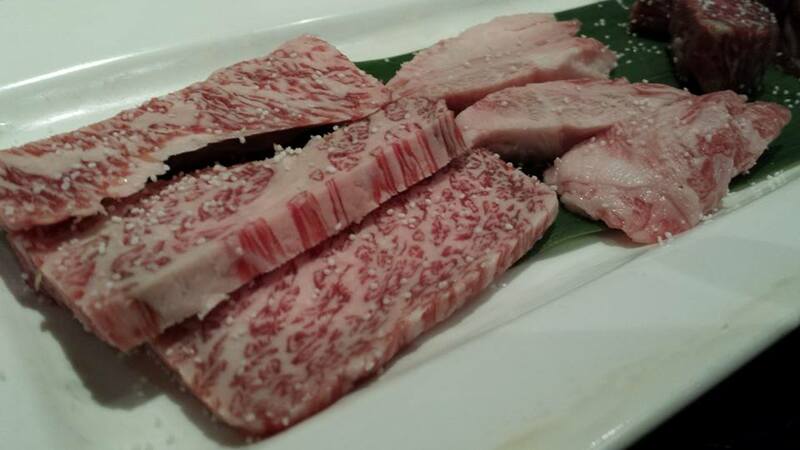 it looked marbled, tasted good, but somehow not quite matching our expectations of the intense marbled flavours of 1 of the 3 best kuroge wagyu (黑毛和牛) in japan, along with kobe & matsuzaka. 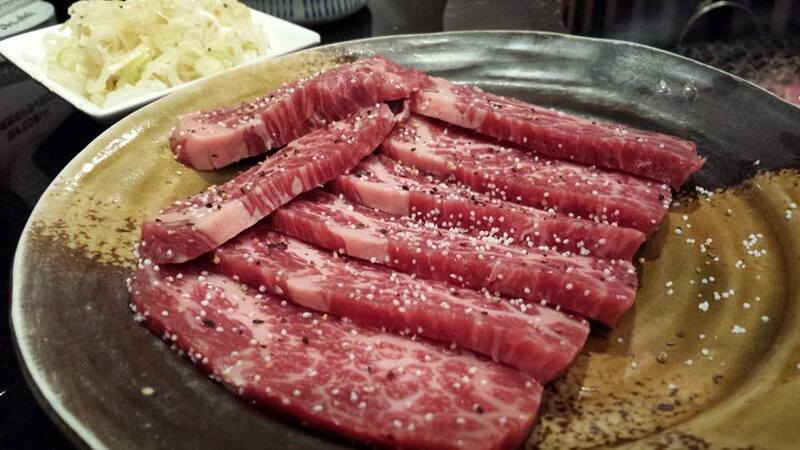 somehow the last time we had the cheaper hokkaido wagyu here on 19.3.2014, it left a more lasting impression. 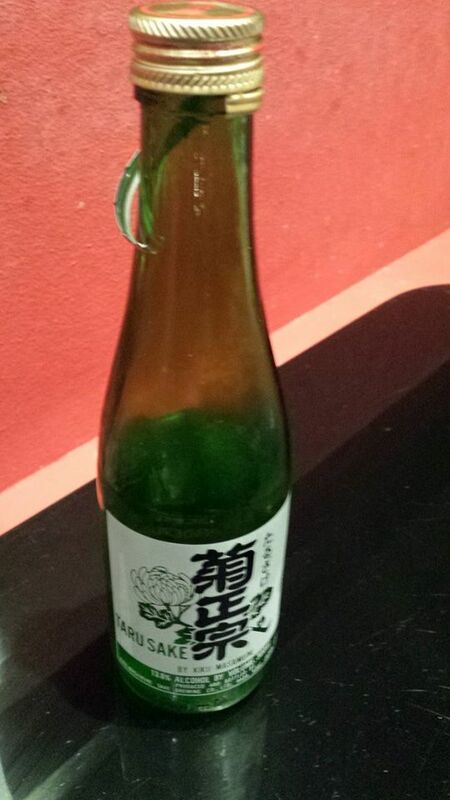 maybe it’s better just to order karubi or jo-karubi than to have the tokumori mixed set. 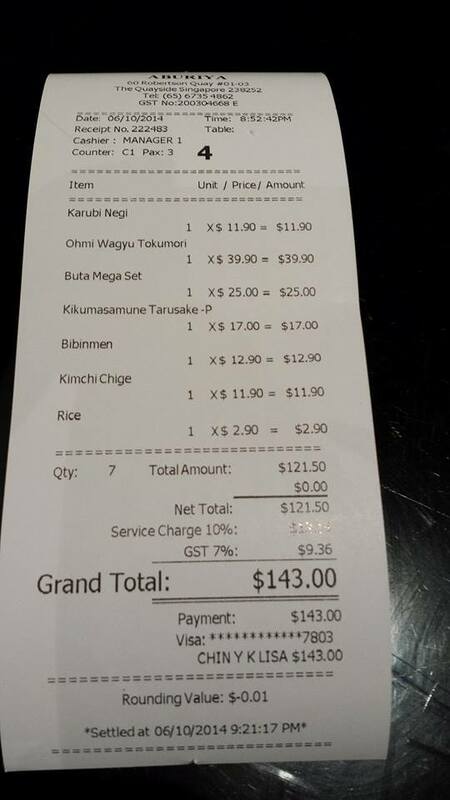 we had the cheap australian angus karubi negi (short ribs with leek). 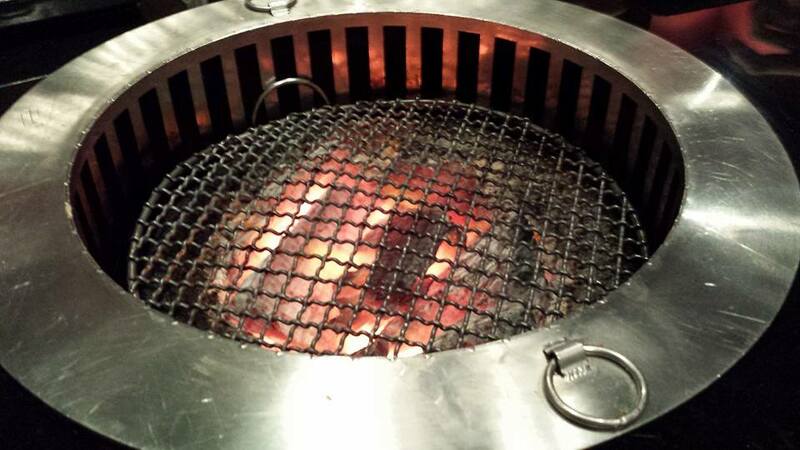 it was quite ok. anyway we had always liked it before we started trying the wagyu here. 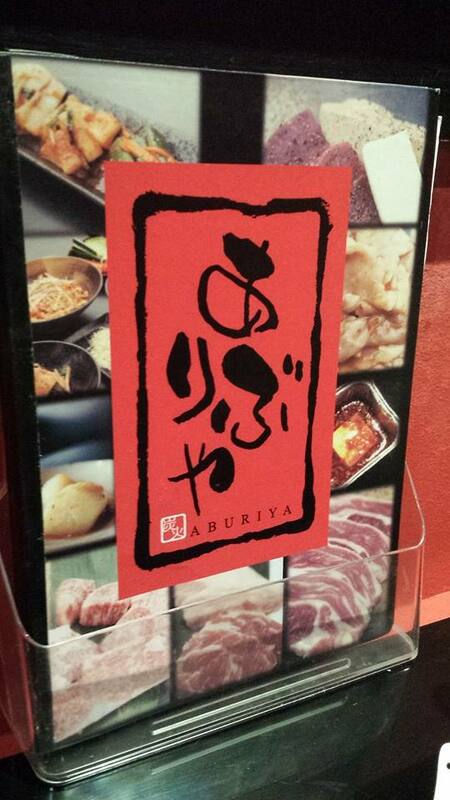 we tried the kurobuta & iberia pork set this time. it was really good. certainly better than the karubi. 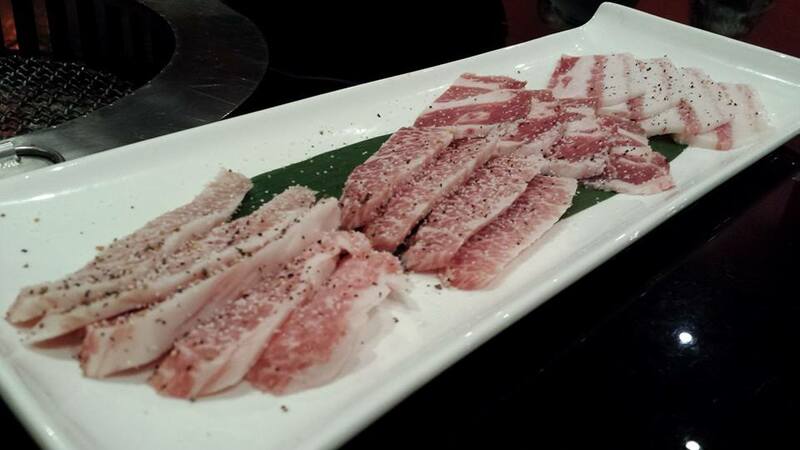 i think overall our enjoyment of the pork was more than even the ohmi tokumori set, not that the ohmi was poor. This entry was posted in Buon Appetito! 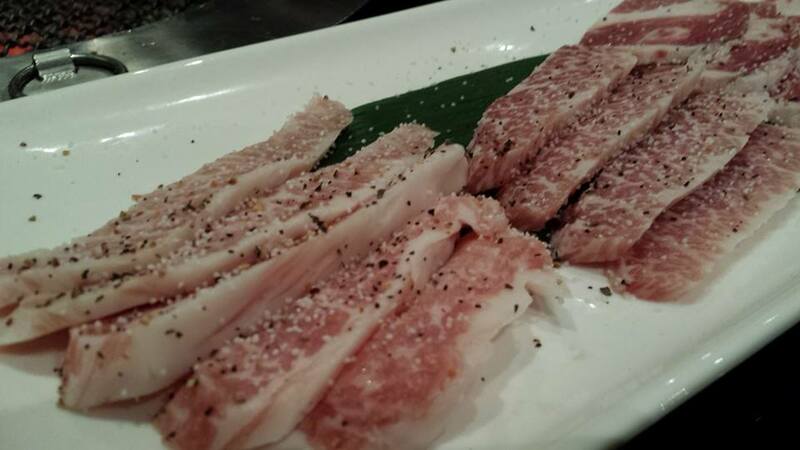 and tagged Aburiya, amex, bibimen, cuppage terrace, 黑毛和牛, hokkaido, karubi, kimchi chigae, kurobuta, kuroge wagyu, nabe, ohmi, shirokiya, short ribs, tajimaya, vivocity, wagyu, yakiniku. Bookmark the permalink.